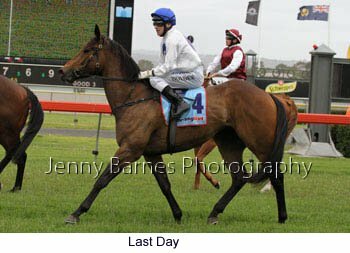 A very odd day weather wise starting very warm then getting cold as the rain came before warming up when the sun came out later in the day. 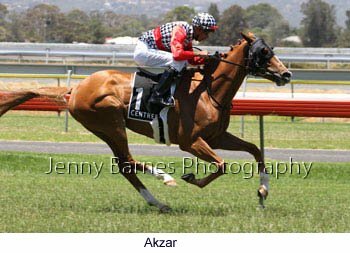 The first race was taken out in emphatic fashion by Akzar who has done a lot of travelling during his 21 start career. 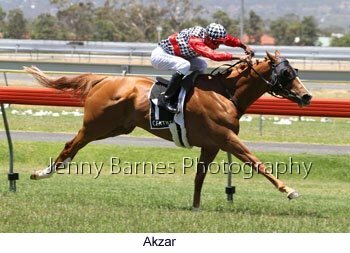 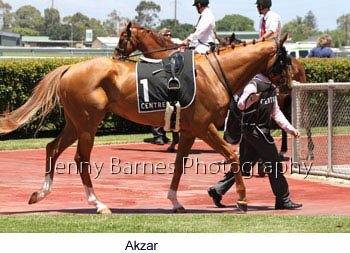 Akzar (by Selkirk) started his racing career at the Curragh where he won his maiden before running two seconds the latter being one time Melbourne Cup fancy Profound Beauty in the Ballyroan Stakes. 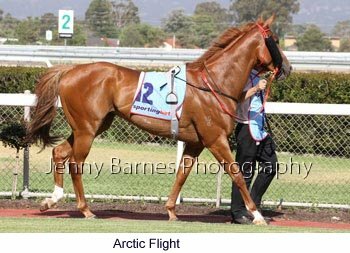 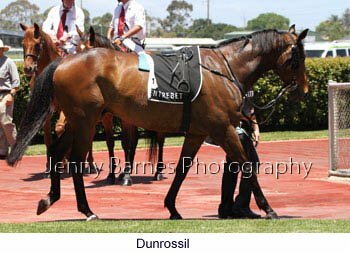 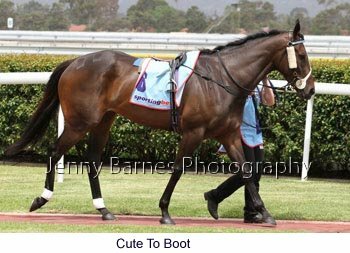 After that he was imported to Australia and joined the Lloyd Williams owned team trained by Robert Hickmott. 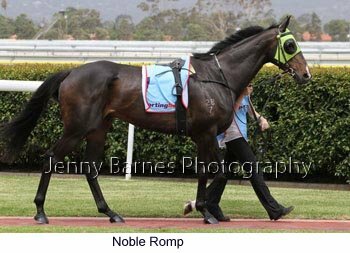 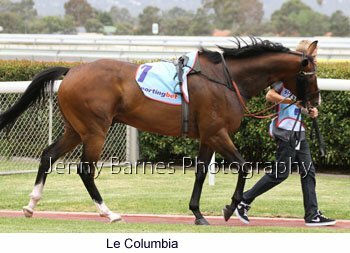 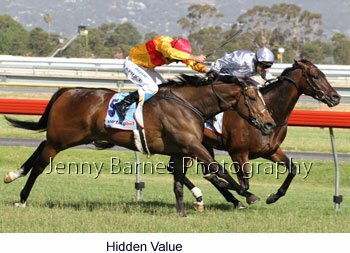 He showed initial promise winning at Moonee Valley and being placed at Caulfield and Flemington but after being unplaced as odds on favourite at Cranbourne he was considered not up to the best stayers and moved on. 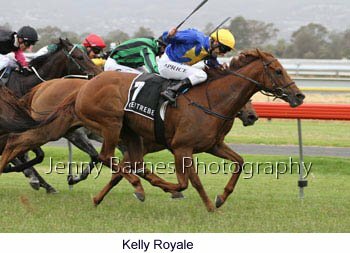 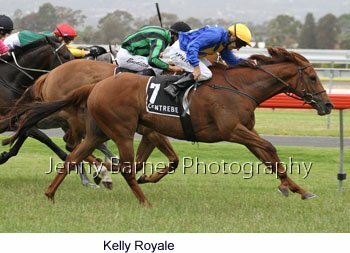 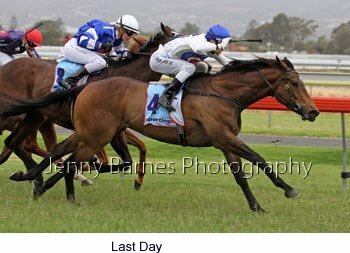 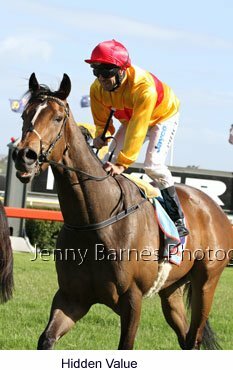 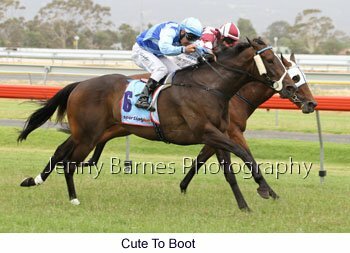 Joining Rob Blacker's Mornington stable he had been in form and broke through for his third win defeating Andronica and Cross Constance. 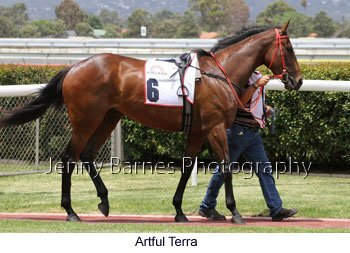 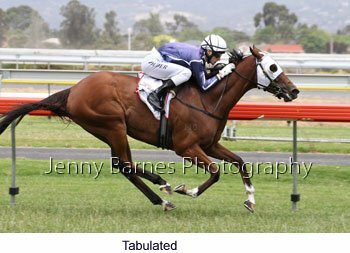 In the second race Tabulated put her name back on the winners list with a determined win from Artful Terra from Port Lincoln with Alchemy's Eight third. 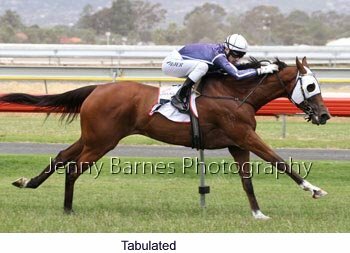 Tabulated took her record to 29 starts for 6 wins and 7 placings and over $100,000 in earnings. 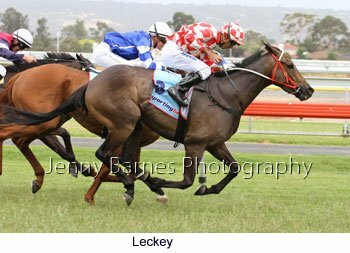 In the next race Leckey stormed home to win from Reachfar with Stella Grace third. 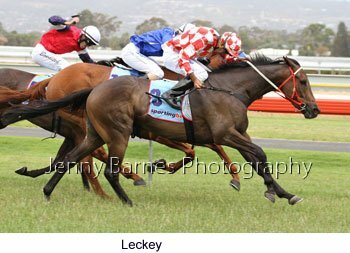 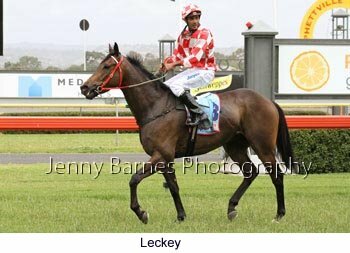 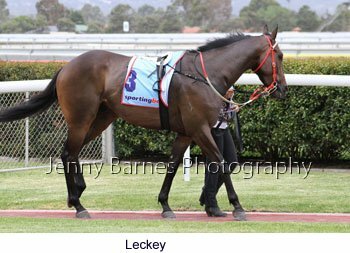 Leckey has now taken his record to 17 starts for 3 wins and 5 placings. 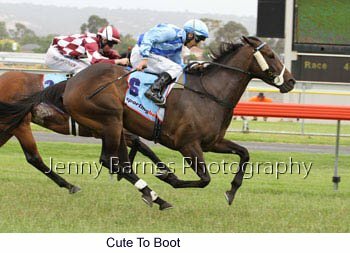 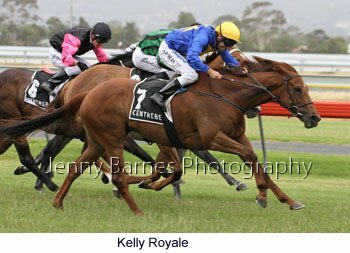 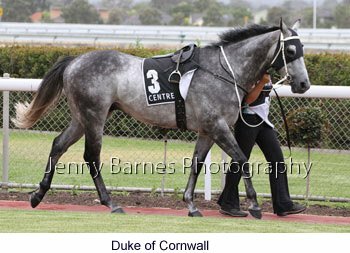 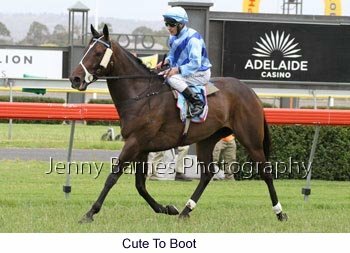 Cute to Boot took her record to 32 starts for 4 wins and 8 placings in the next defeating Lady Dynamo and Sacred Snaadee while Kelly Royale made it two in a row from a spell in defeating Zai Jian with Duke of Cornwall third in race 5. 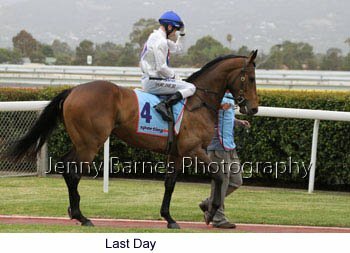 In the 3yo race Last Day took his record to two starts for two wins in easily accounting for Akahadoo with Sabie in third place. 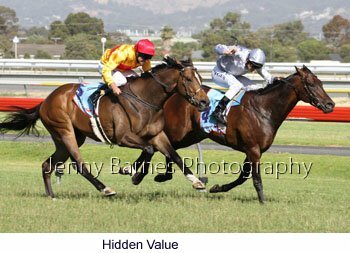 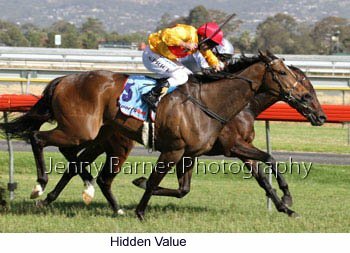 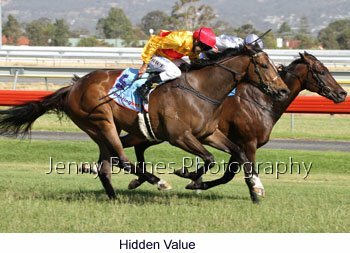 The main race of the day was the City of Marion Stakes where Hidden Value made it four in a row taking his record to 11 starts for 7 wins and 2 placings and over $200,000 in prizemoney defeating visiting Victorian Rescue Mission with Just Discreet third. 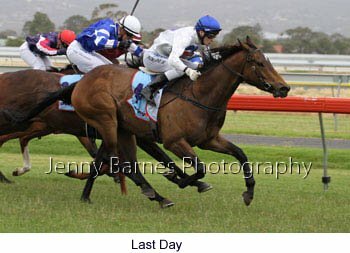 The final race went to Kooda Dawn who defeated Incandescent with Secret Vintage third.